Everyone knows Google’s like a popularity contest; the higher ranking you have, the more chances of gaining clients. Since off page SEO has been a very important process in achieving high rankings, the act of link building has become an one of the easiest ways to increase a website’s popularity. Because of this efficiency, some website owners have resorted to sneaky link building practices, and this is what Google’s Penguin Update focuses on. Log into your Google Webmaster Tools (if you don’t have one set up, get set up now!) and learn where your links are. Google’s Webmaster Tools will list all the places supposedly linking back to your site. Once you work out which links are ‘spammy’ or unnatural, be quick-smart and remove them! If you’ve created links within your site purely for SEO, go through and reduce the number of them right now. If you have SEO footers, sidebar links or overly optimised anchor text that are there just for Google’s spiders (and not for your users), update or get rid of them. As I mentioned in other blog post, the effectiveness of internal links is based around your intention. If the link contributes to the user experience and people actually click on them, then it’s a-okay to keep them on your site. So, all your links are sweet now, what else can you do to help recoup your rankings? Knowing which keywords were affected by the Penguin Update can be a really useful tool in targeting which links and pages to fix first. Log into your handy Google Analytics account and review your organic keywords (sort by date). Look at which keywords dropped in traffic and make note of the date to see if it corresponds with the Penguin release. Once you’ve located those sad little keywords, you can then update or remove them. Isn’t Google Analytics great for stuff like this? Did you know there are more tools that can help you? Okay, your hands are aching from all the typing you’ve been doing. 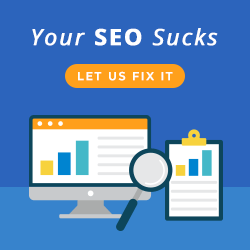 You’ve done enough clean up, your pages and links have been re-crawled, and you’re sitting there, staring at the search results thinking “When’s this going to take effect?” Once you’ve done everything you can on your end, recovering from Penguin becomes automatic. Be patient little grasshopper, because it may take several months before you see any results, and even require a few more clean-ups along the way to Google Penguin recovery. So even though the concept of recovering from Google Penguin is quite simple, it actually takes a lot of effort and time to improve search engine ranking following a tried and tested SEO advice. 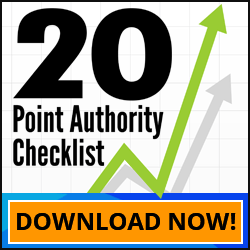 You need assess, target, update or remove all those bad links. And if you have hundreds of them, your recover will be very tedious, but well worth it. Are you unsure if you’ve got bad links pointing to your site? Did you need an SEO strategist to assess your site and help you ensure its in the best possible shape? It only takes a few minutes to chat with one of our specialists to see what we can do to get you back on the road to recovery. Call us today on 1300 662 979.